-Take ten years off your appearance, reduce your risk of heart disease, and simultaneously divorce-proof your marriage? -Are you plagued by stress-filled days and sleepless nights? -Do you long for a deeper, more satisfying relationship to your spouse? -Isn't it time you embraced God's purpose for passion in marriage? -Isn't it time you began to unconditionally love your husband... and love yourself? Then this is the book for you. It outlines a simple but Scriptural strategy for blessing your husband that, when faithfully applied, will secure blessings beyond measure for yourself, as well. "Love Your Husband, Love Yourself"
for Only $14.95 (plus shipping). A must read for all Christian women!!! I keep a copy on my nightstand to read, so that I have ammunition for Satan’s lies. It has enriched my life and I am anxious to give it as a gift to my daughters and close friends! The best marriage book ever! I have given the book to a dear friend, who is in a troubled marriage. Without apology or explanation I could wholeheartedly endorse it! Phenomenal! The best book I've read. If you want a story book romance do what the book says. Take time for your husband! I just started reading this book and so far it has been very helpful. I've been Birn Again for seven years and am now learning to become a more living and submissive wife. This book and others are helping me to be more like Jesus. I just finished this book and thought it was a wonderful read but not just a wonderful read but a great tool to go to over and over again. There are too many marriage books that sort of ignore the woman's role in the sexual relationship to her husband. This book promotes women to meet the sexual needs of her husband not only out of submission but also out of enjoyment and the survival of a healthy and blessed marriage. And this marriage book happened to be the first marriage book that promoted the gift of children from making love to your spouse! Loved this book and I recommend this book to women. 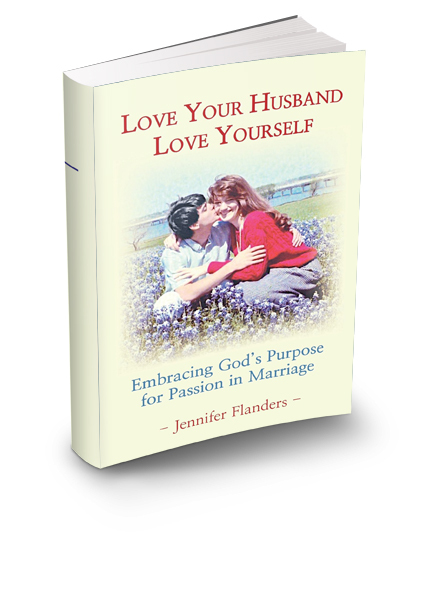 Click the button below to add the LOVE YOUR HUSBAND, LOVE YOURSELF (Embracing God’s Purpose for Passion in Marriage) to your wish list.